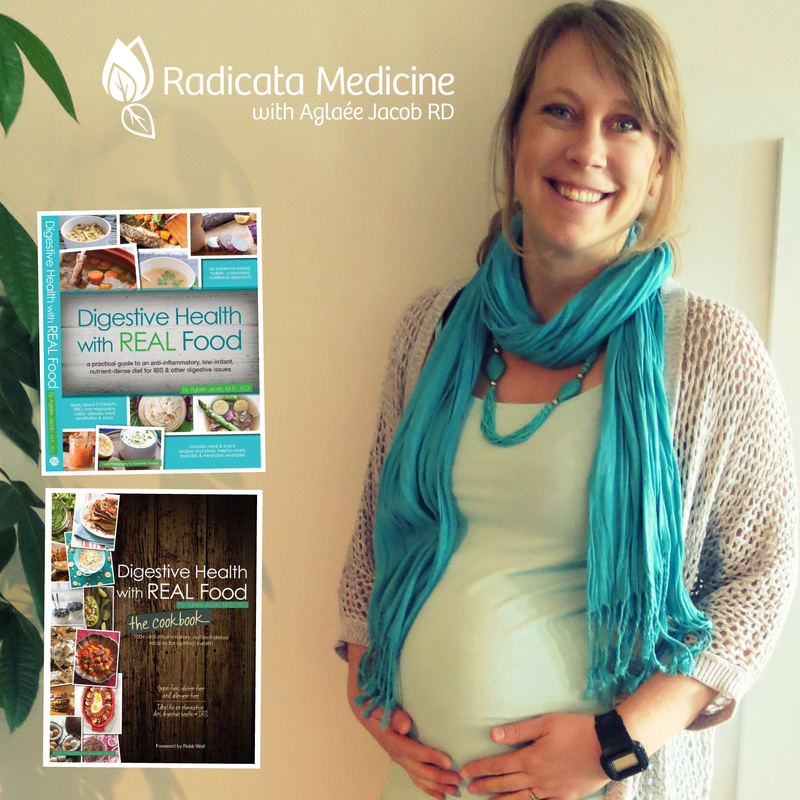 Digestive Health with REAL Food – the book! Guess what? My book “Digestive Health with REAL Food: a practical guide to an anti-inflammatory, low-irritant, nutrient-dense diet for IBS & other digestive issues” is about to be released. With almost 400 pages, dozens of practical charts and tables, chapters about problematic foods, gut-healing foods, practical steps to implement a successful elimination diet, supplements, stress management, troubleshooting and over 40 tasty real food-based recipes, this book is EXACTLY what I wish was available a few years ago when I started experiencing my own digestive issues. …Not as bad as they used to be before starting on the GAPS diet, but definitely annoying and interfering with my quality of life. During the Holidays, I have had a few coconut flour, nut, honey and fruit-based treats. Although it was not to bad in very small amounts, even what would be considered a moderate serving caused bloating. I only ate out three times since the Holidays, but each time, I got sick for a couple of days… I always make sure the items I order are gluten-free and free of the most offending ingredients, but it seems like there is either always something hiding in my food or cross-contamination in the kitchen. The first time, we went to a sushi place and I ordered sashimis, specifying that I needed my meal to be gluten-free. They seemed to know what I was talking about… and I had brought my raw coconut aminos (a soy-free, grain-free, wheat-free, gluten-free alternative to soy/tamari sauce). Strangely, the sashimis were served on a bed of rice, but I didn’t eat any of it… that night and for at least 2 days, I experienced bloating, pain, severe fatigue, fuzzy thinking and changes in my bowel movements. The second time, we went to a regular restaurant with not that many gluten-free options, but they at least had a gluten-free menu available. I got the tartare duo (beef & salmon), which was served with French fries and a salad. I asked for the French fries to be replaced by veggies or more salad, and apparently they couldn’t do it…. How can restaurants be so lame at respecting their clients’ requests??? I didn’t eat any of the French fries. Again, I was sick for at least 2 days. The 3rd time, I was meeting with a high-school friend I hadn’t seen in a year and chose a restaurant in my neighborhood featuring a gluten-free menu (which is quite rare in the rural part of Canada I was in! )… well they actually had 3 items: 1) gluten-free spaghetti (out of the question, I don’t eat grains AT ALL!!! ); 2) a steak (which was a bit expensive, especially that it was definitely grain-fed); and 3) a chicken salad (very depressing chicken breast served on iceberg lettuce and a couple of spinach leaves). I got option #3. Although I asked for the dressing to be served on the side (a balsamic and maple syrup-based “homemade” vinaigrette, I had a bit of it. That evening, I started to get sick again. After not having had bacon for sooo long, my husband found a new product offered here in Canada: “natural” nitrate-free bacon. I knew it contained some sugar and came from non-pastured pigs.. but just wanted to enjoy a few slices. Well, it turns out it was a bad idea… Although that bacon doesn’t contain “artificial” nitrites/nitrates, it contains cultured celery extract, a “natural” source of nitrites/nitrates… (see the CBC Marketplace reports here). Chemically, it is the same stuff! I had a couple of slices here and there and didn’t really notice anything. But then I had a few slices at dinner and a few more at breakfast the following day, which was probably too much within the course of 16 hours. Was it the nitrites/nitrates? Was it the small amount of sugar? Or the high omega-6 fat content of non-pastured pork? I don’t know, but IT WASN”T WORTH IT… No more bacon for me. Finally, last week I met with my naturopathic doctor again and she recommended I take some liquid vitamin B12. My last vitamin B12 test showed it was adequate but my MCH (the size of my red blood cells) was slightly high, which may indicate a suboptimal B12 level, which is quite common in people with SIBO. Unfortunately, she was out of her B12 drops, so asked me to buy some at my local health food stores. I had never bought liquid B12 and it turned out to be very difficult to find in my area. The only one I found was not in the form of drops and contained the following ingredients: purified water, vegetable glycerin, citric acid, pomegranate natural flavor, potassium sorbate, ascorbic acid. The label mentioned it was free of dairy, wheat, gluten, yeast and corn. I was a bit skeptical of this strange ingredient list but thought it would do more good than harm… it proved to be the opposite. After a bit of research, I found that vegetable glycerin = glycerol = polyol = FODMAP! Although I managed to wake up with a flat stomach on most days, every afternoon, the bloating and discomfort started, increased in the evening and even caused insomnia a few nights. After 5 days, I couldn’t figure out what was wrong in my diet and pinpointed it down to my B12 supplement. I know I probably shouldn’t have had some of these foods, but sometimes, the circumstances are not ideal. You may not feel like making a big fuss at the restaurants, especially if eating with people that are not aware of your condition. You may just feel like a little won’t hurt too much…. Make the best choice of the options offered to you, but don’t take chances. WITH EVERY BITE YOU PUT IN YOUR MOUTH. Stick to your regimen… it can take a lot of time to heal . I probably set myself back in my gut healing…. Have you ever taken a step forward and two steps backwards while following the GAPS diet? Sorry for not getting back to you for almost 2 months…! As soon I was diagnosed with SIBO, I started on the first intro stage of the GAPS diet. Both the GAPS and the SCD diets are potentially effective approaches, but I chose GAPS because it includes more gut-healing components (such as bone broth) and the possibility of avoiding dairy by using fermented vegetables. 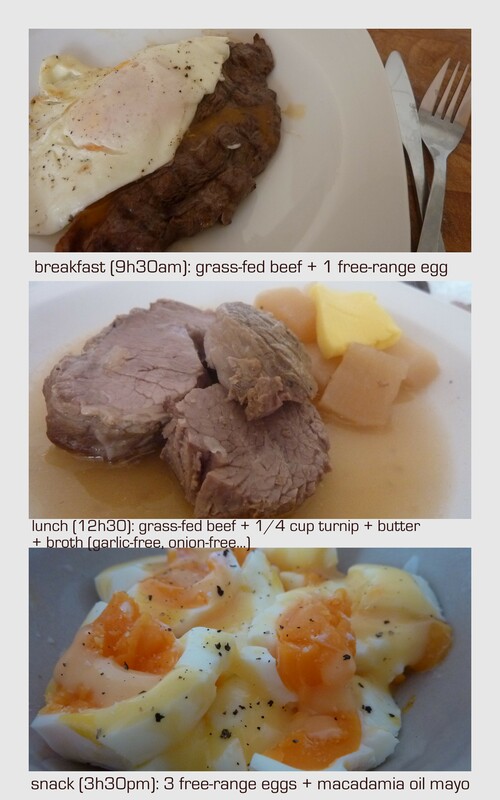 During the first 2 weeks, I mostly ate chicken, lamb and beef accompanied with ghee and small amounts (1/2-2/3 cup per meal) of pureed vegetables (I started with carrots and peeled zucchini only for the first week). After a few days, I started adding other well-cooked and pureed vegetables, such as cauliflower, broccoli, red bell pepper. I also started adding spices and herbs to season my meals. I experienced a few bad days at the start, probably die-off reactions (a worsening of my usual symptoms). I also introduced coconut oil and raw egg yolk. After 2 weeks on the first intro stages of the GAPS diet, I started taking herbal antibiotics. I recommend that you meet with a experienced naturopathic doctor for help in this regard. I started taking garlic pill, one a day, and had some die-off reactions. I slowly increased to 2/day the following week, 3/day the 3rd week and 4/day the 4th week. Meanwhile, I also took ADP oil of oregeno, which I had left from my parasite infection, during the last 2 weeks. During these 4 weeks, I also combined these herbal antibiotics with regular cinnamon. I used at least 1-2 tsp. a day. It is very yummy mixed with pureed carrots and coconut oil. I also added a raw egg yolk to the mix for a very creamy and delicious treat! I stopped all herbal antibiotics after 4 weeks, with the exception of cinnamon, which I now only use once in a while. I have gone through all the intro stages of the GAPS diet, but haven’t tried dairy (with the exception of butter) or honey. I tried fruits (apples and mangoes) and was fine, but after having them a few days in a row, my symptoms started to come back. I tried blanched almonds and had mild bloating and it seemed like my body couldn’t digest them properly. Pumpkin and squash seem to be too high in carbs for my body now. I decided to stay away from all of these foods for a few more months to allow my gut to heal completely. I don’t puree my vegetables anymore but cook them thoroughly. I introduced supplements slowly and gradually and at the moment, I am taking L-glutamate, fish oil, vitamin D, iodine, probiotics (multistrain & S. Boulardii) and 5-HTP. I am no longer taking digestive enzymes. I felt like I need to cut back (because of burning stools!) and actually don’t take them at all anymore! I believe that I did react to FODMAPs, salicylates, amines, glutamates and eggs at some point as I did react to a whole lot of other foods, but healing and sealing my gut and correcting my gut dysbiosis is helping me solve the root gut of my food intolerances instead of just avoiding the foods that I can’t tolerate. It may take a bit of time, but I now have more variety than I could ever wish for and am convinced that it is only going to get better and better… with time. In the last weeks, I have managed to somewhat controlled my symptoms following a very restrictive diet avoiding most FODMAPs and food with high food chemicals (salicylates, amines and glutamates). I was inspired by a post from Melissa McEwen at Hunt.Gather.Love to try white rice, which is both low in FODMAP and in food chemicals. I did and suffered…! Within an hour or two, I looked pregnant and had abdominal pain… and it lasted for a couple of days. But the good thing about it is that it got me thinking! If white rice, which should be one of the safe food I should be able to eat, causes me problem, it means that maybe I haven’t completely figured out what my problem really is yet. I had heard of SIBO, or small intestinal bacterial overgrowth, before and started researching it more. Bacteria thrives on carbs and it seems that any types of carbs have triggered my symptoms in the past. 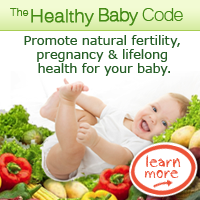 One of the best resources on the subject is Dr. Siebecker at siboinfo.com. I then decided to go for a hydrogen/methane breath test and just received my results: I have a SIBO infection. I am happy to know what is contributing to my post-infectious IBS because knowing what the problem is will help me adapt my diet accordingly. Antibiotics and elemental diet formulas can be used to kill the excess of bacteria that should not be in my small intestines, although it seems that recurrence rates can be relatively high. Another treatment option for SIBO is following either the SCD diet (specific carbohydrate diet) or GAPS diet. Both of these diets are grain-free, sugar-free and very low-carb diets that can easily be made paleo. Following one of these diets for one to two year can work at eliminating my SIBO and allow me to heal and seal my gut (SIBO causes leaky gut), diversify my diet, get rid of my newly developed food intolerances and hopefully, some day, tolerate small amounts of carbs from fruits or tubers. I have ordered Dr. Mark Pimentel‘s book “The New IBS Solution” which discuss the role of SIBO in IBS as well as the book “Gut and Psychology Syndrome” from Dr. Natasha Cambell-McBride. symptoms: all of my yesterday’s symptoms were gone by the time I woke up and I felt good until a couple of hours after lunch. I started feeling tired, so I had a spoonful of coconut oil to give me energy, but it kept getting worse and soon I had brain fog + abdominal pain + bloating. symptoms: great start of the day, but I think that the turnip didn’t agree with me… I kept the amount very small, at 1/4 cup , but according to the data, they do contain small amounts of sorbitol and I guess my GI tract doesn’t like polyols at all… unless it is my little bit of lettuce from yesterday? I may have a spoonful of coconut oil a bit later this evening. Just a quick update to yesterday’s post. 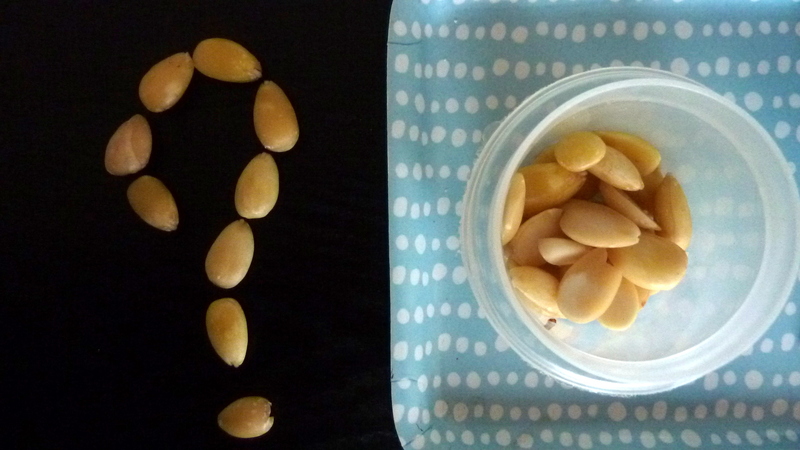 A bit later in the evening, I was very hungry and decided to try about 10 blanched and soaked almonds. What the heck, it was Friday night after all! lol It was good and calmed my hunger. I know, it was a bit stupid of me to add more than one food at once, but we learn. Visit my new website RadicataMedicine.com! Click here to find Aglaée at RadicataMedicine.com. The objective of this website is simply to present my own journey as I experience with a different nutritional approach. It does not constitute a recommendation and does not suits everyone. My approach is neither sponsored, endorsed, approved nor recommended by most health care professionals or health authorities. Always consult with your doctor or registered dietitian before adopting a new diet to ensure it is appropriate for you. 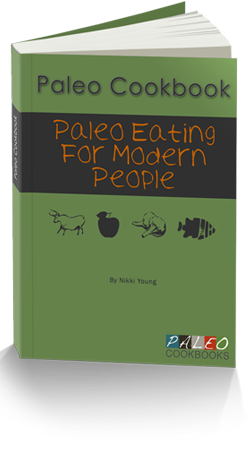 whether you have $2, $5 or $10 to spare, it would be a great help in my quest to becoming a Paleo dietitian and help people become healthy the Paleo way!